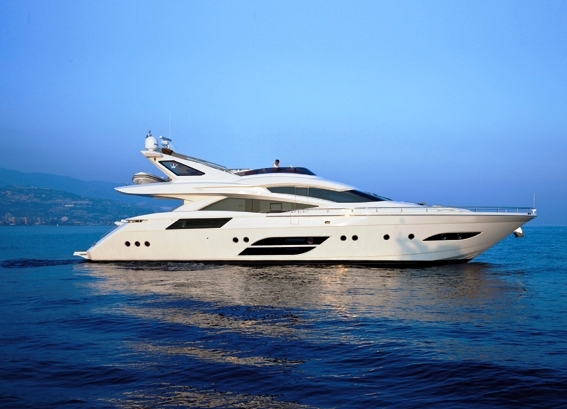 Luxury motor yacht SAINT ANNA 1 (ex. Saint Anna, KAIJOU) is a Dominator 780 built in 2010 measuring 23,95m (78' 6"). 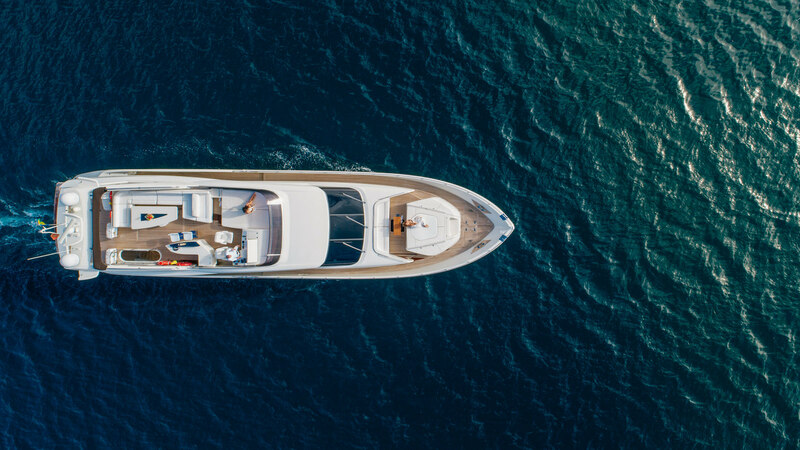 This new generation vessel sets a turn-about in the designing philosophy of Dominator Yachts and is the result of the close collaboration between the Designers of Team 4 Design from Venice and the Engineering Group of the Yard. 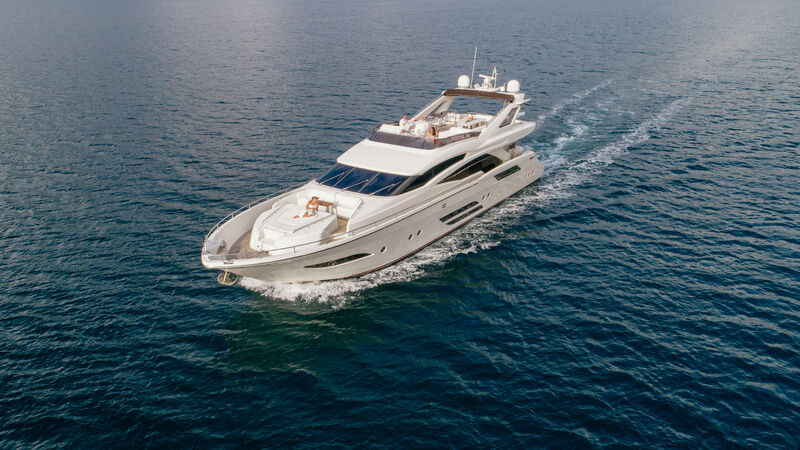 Luxury motor charter yacht SAINT ANNA 1 can accommodate up to 8 guests in 4 cabins. 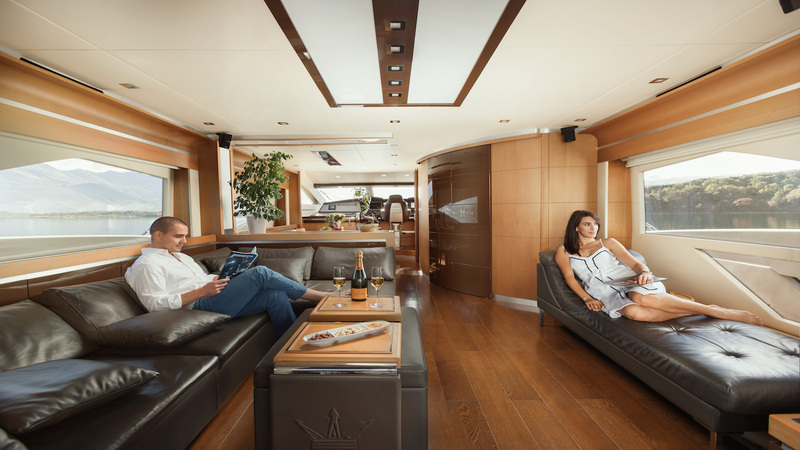 The luxurious Dominator yacht SAINT ANNA 1 has modern and captivating lines and innovative and unique features aiming to reduce and overcome the barriers between internal and external spaces. 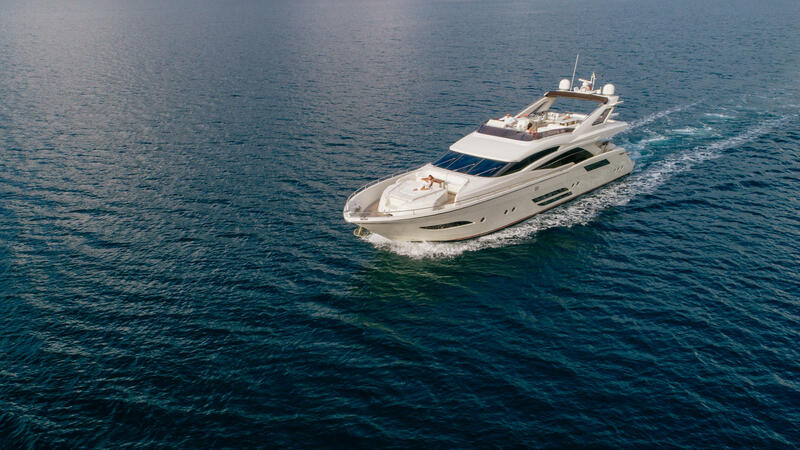 Motor yacht SAINT ANNA 1 boasts wide rooms and excellent living comfort both inside and outside the yacht and on the flybridge. 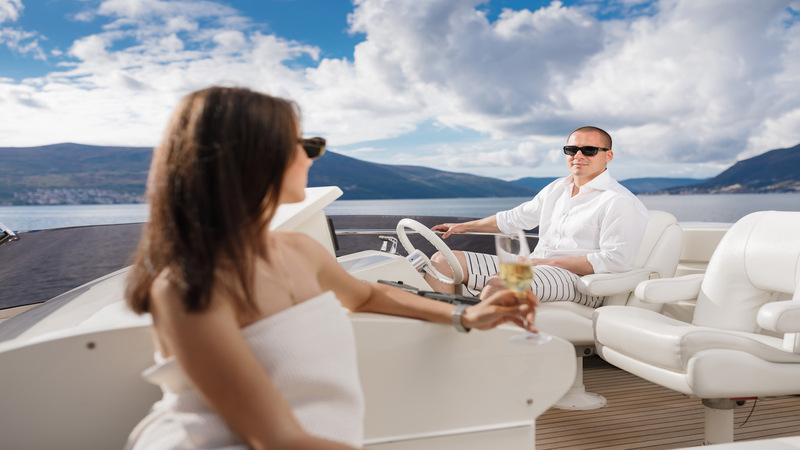 The lateral glazed framework of the lounge on the starboard side reaches down to the deck bridge and offers a spectacular view of the sea, whilst comfortably lying on the luxurious chaise longue. 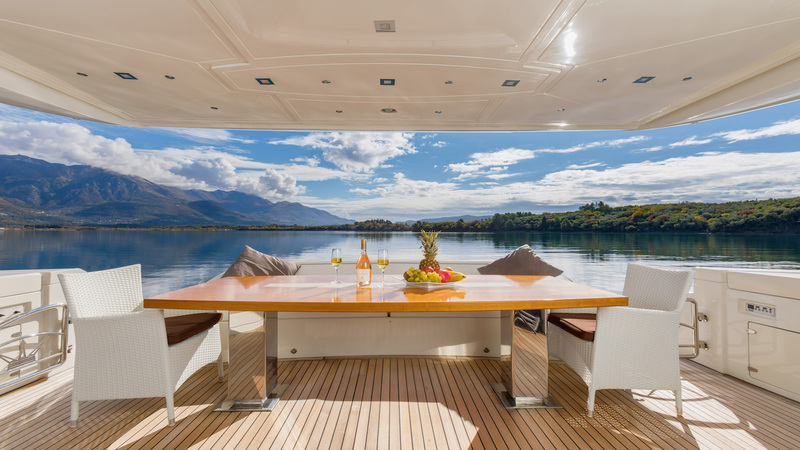 The wide windows are possible by the installation of a particular fibreglass structure, in replacement of the outer railings which removes the sense of restriction between the yacht and the sea. 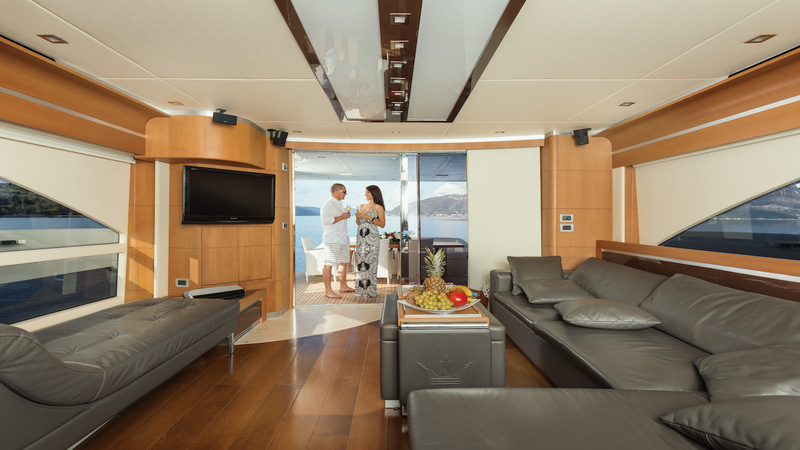 Therefore you get a feeling that the yacht is no longer in a closed environment, but a fluid space, which perfectly integrates itself with the surrounding environments. 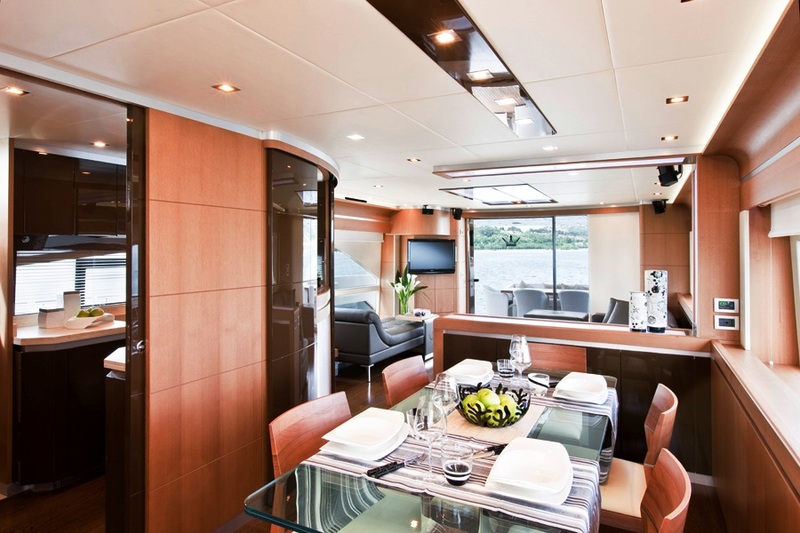 Luxury Dominator 780 charter yacht SAINT ANNA 1 can accommodate 8 guests in 4 cabins. 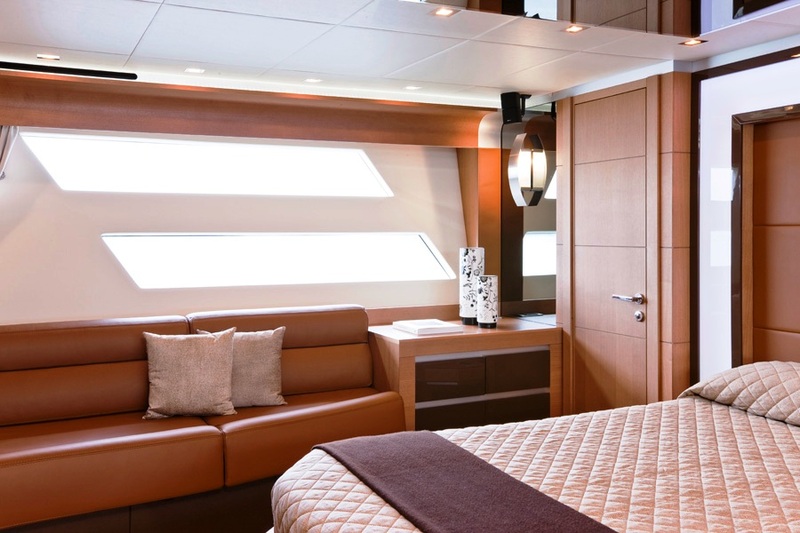 The master cabin is refined and modern and stands out for its generous space, numerous comforts and, above all, for the unique atmosphere created by both the natural and artificial lighting. 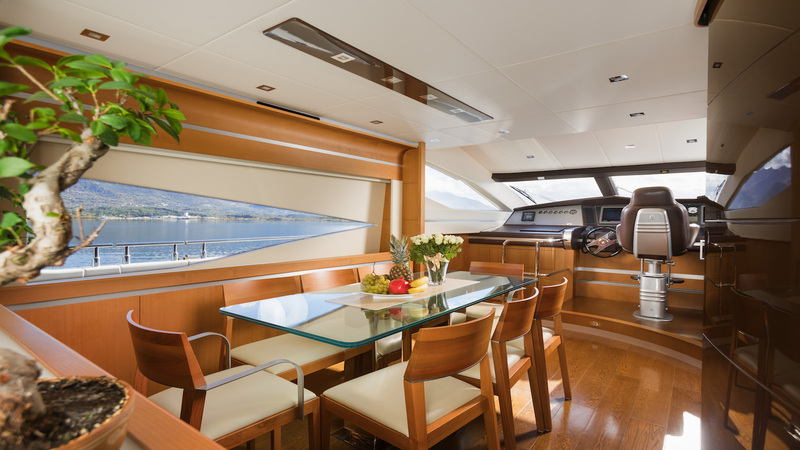 There are two wide horizontal window frames in the master cabin, which is the full width of the beam offers plenty of natural light as well as views to both sides of the yacht. 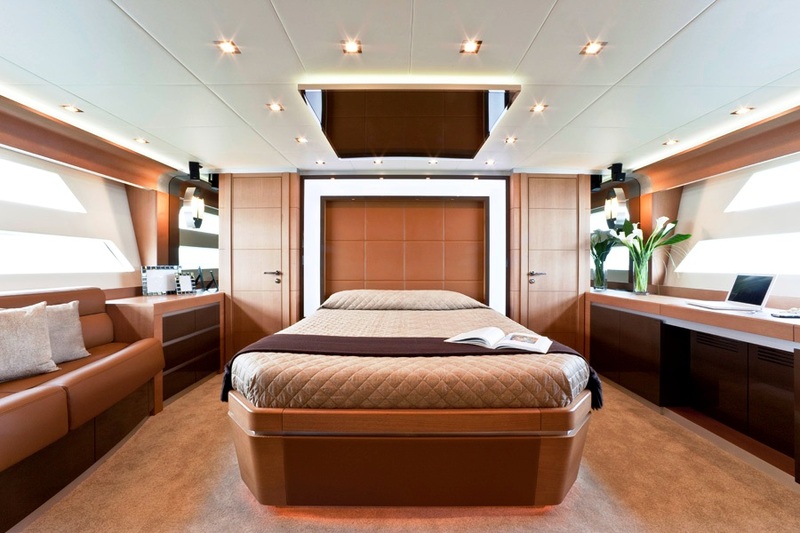 The cabin is fitted with a comfortable wardrobe and two bathrooms, interconnecting through a wide shower room. The VIP cabin and the two Guest cabins are elegant, each with their own private bathroom with the showers fitted with crystal doors. In the lobby of the night area, there is a wardrobe with shelves for linen and a fridge bar. 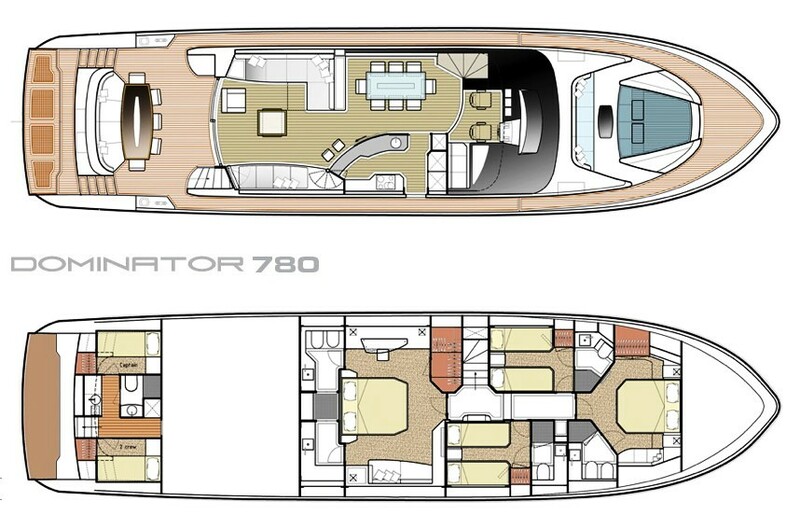 The external spaces of the Dominator 780 SAINT-ANNA are large, given the size of this boat. 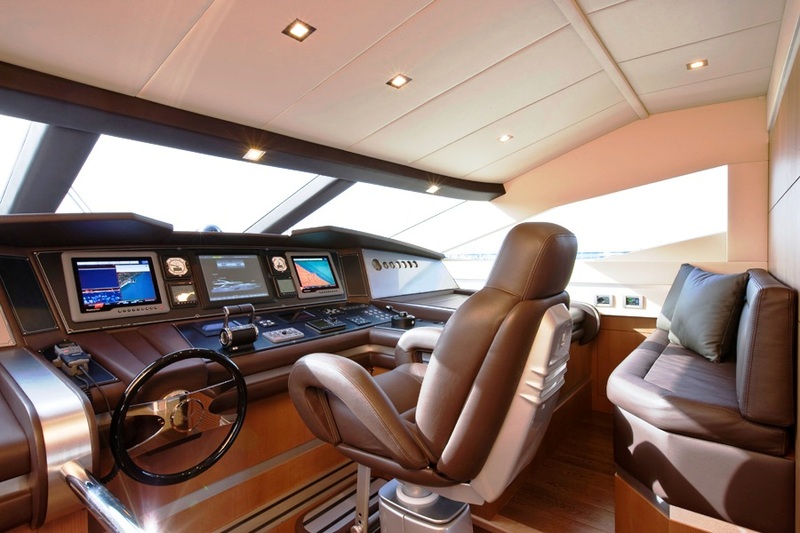 The yachts flybridge is beamy and spacious despite the small crane and the tender astern. 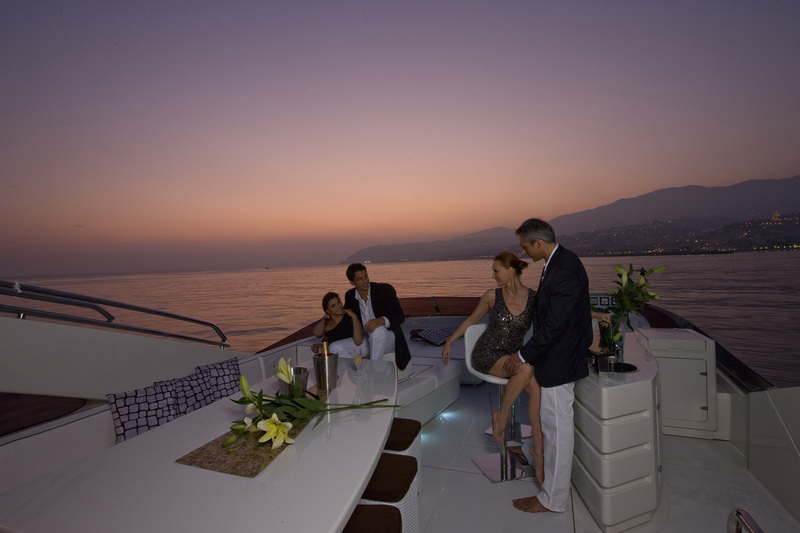 There is an ample settee with a table for 8 people, a spacious sun deck and a wet bar with stools. 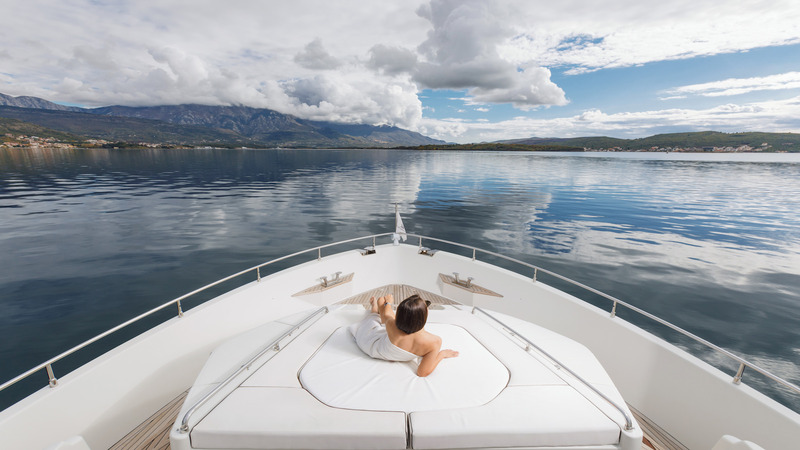 Luxury charter yacht SAINT-ANNA can attain speeds of 26knots cruising and 32 knots as a maximum speed. She has a crew of 3. 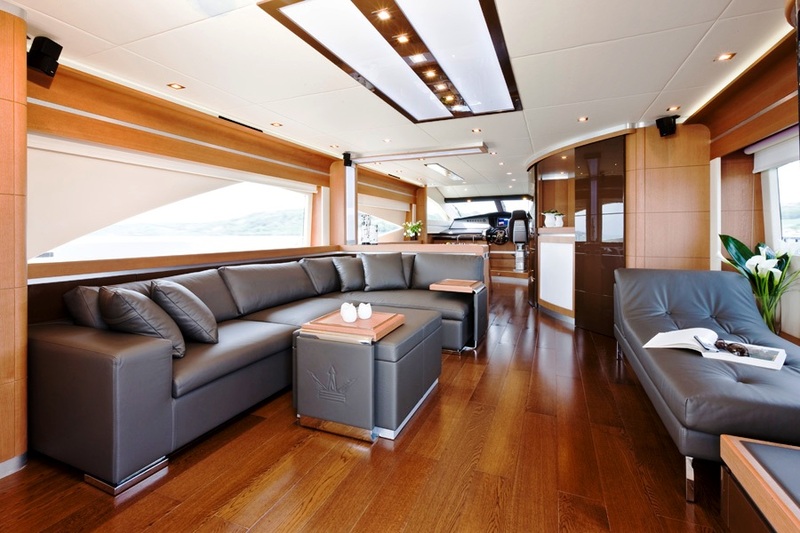 This luxury charter yacht is based in Olbia on the Costa Smeralda Coast (Sardinia, Italy). 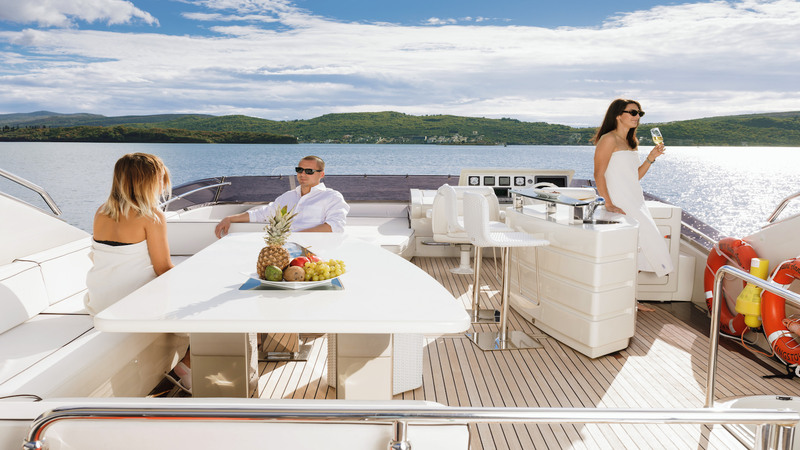 No delivery fees are applicable for charters starting in the area between Porto Cervo to Olbia. 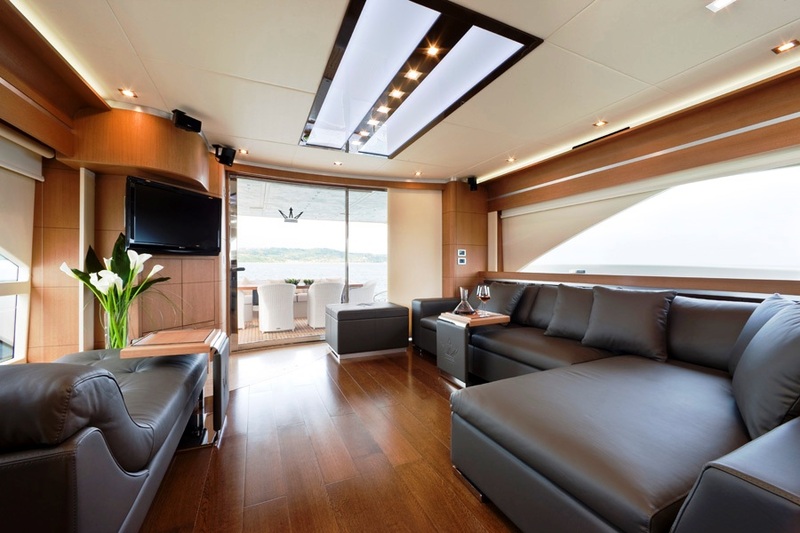 SAINT ANNA 1 can accommodate 8 guests in 4 cabins. 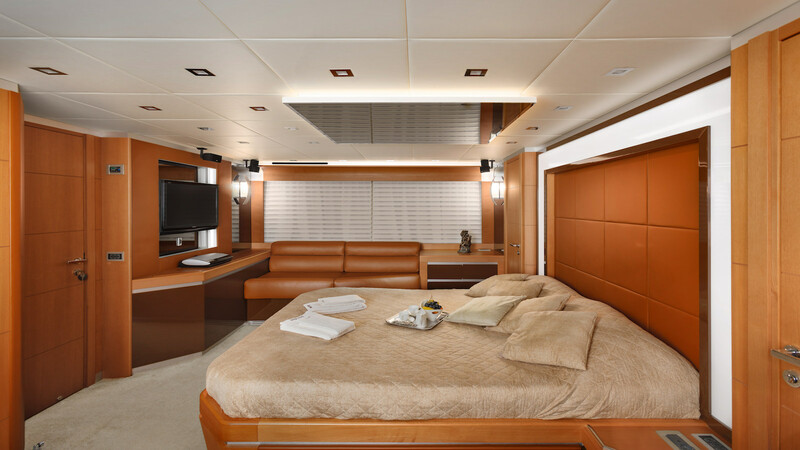 The master cabin is refined and modern and stands out for its generous space, numerous comforts and, above all, for the unique atmosphere created by both the natural and artificial lighting. 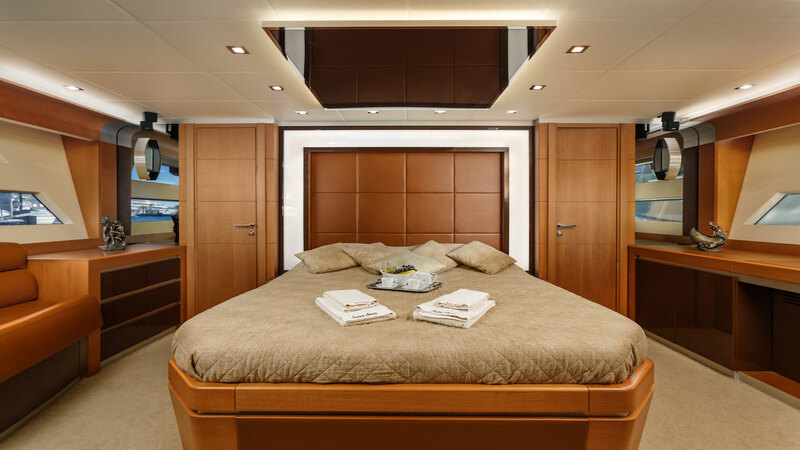 The cabin is fitted with a comfortable wardrobe and two bathrooms, interconnecting through a wide shower room. 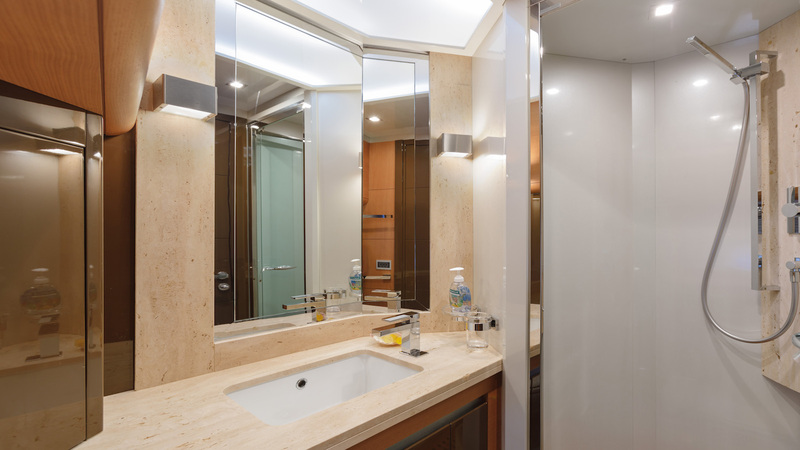 The VIP cabin and the two Guest cabins are elegant, each with their own private bathroom with the showers fitted with crystal doors. In the lobby of the night area, there is a wardrobe with shelves for linen and a fridge bar. Tenders & Toys include a JET RIB Tender. 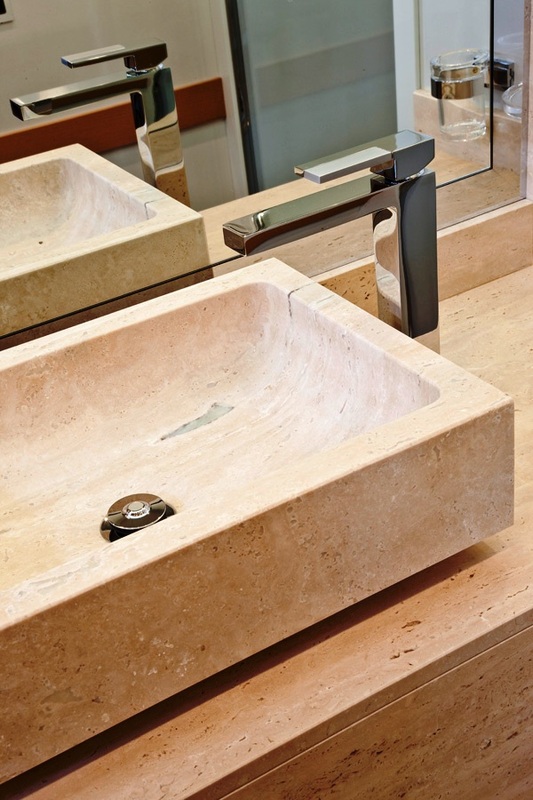 Communications include 3G+ WiFi Internet available in Italy within reach of the coast. 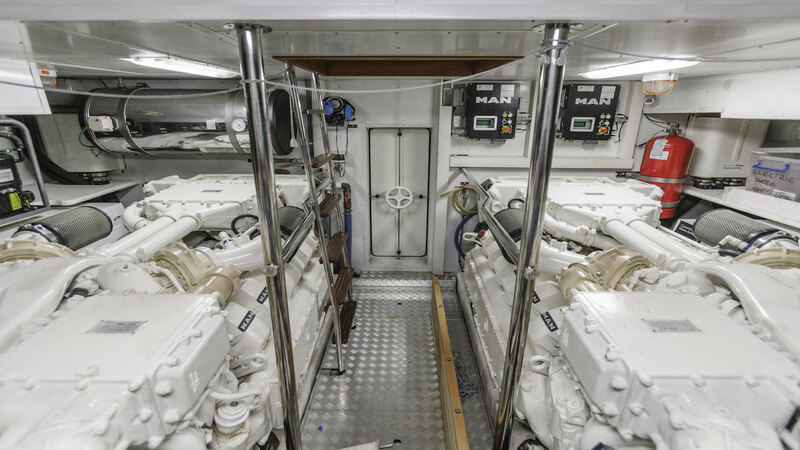 Audio Visual Equipment and Deck Facilities include SAT TV throughout the vessel.